If you live in a house and wish to have a fountain in your yard, you probably know that it’s not an easy task. 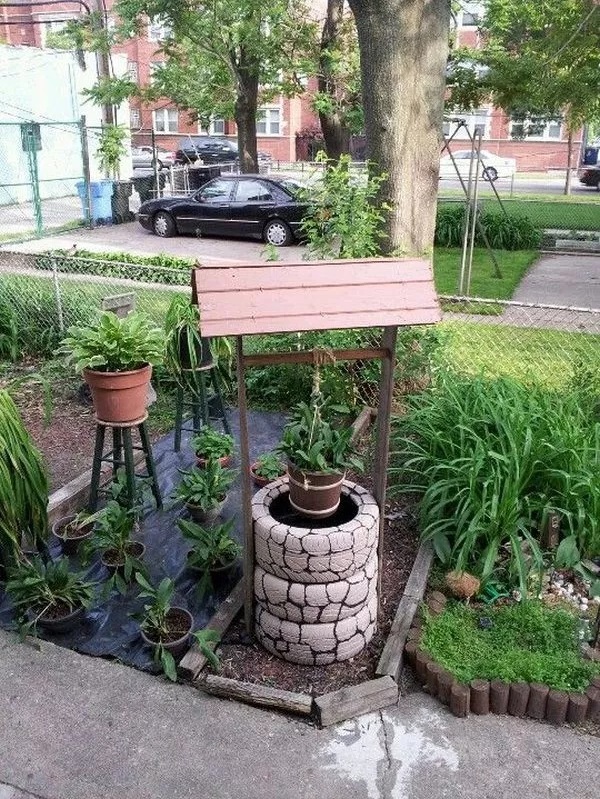 But what about making an alternative type of fountain, such as a Tire Wishing Well, that have recycled tires as a base. So if you want to change your winter tires, don’t throw them away, turn them into a nice fountain instead. If you don’t know how to start this project and are looking for some inspiration, below you will find some really cool examples of DIY Tire Wishing Well. By painting the tires in vivid colors you can create a nice attraction for your garden without spending a large amount of money. 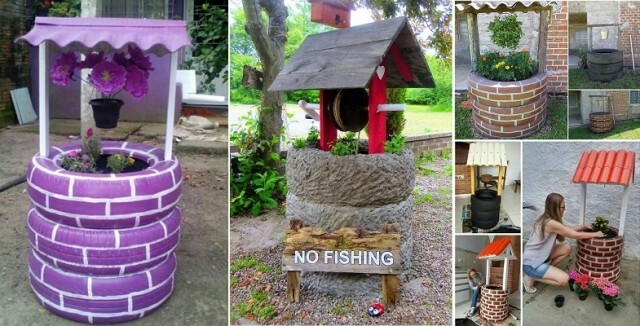 You can even use some pallets or recycle wood to create a cute roof for your new fountain. Such a great idea! SHE PAINTS 3 TIRES WHITE SO WATCH WHAT SHE FILLS THEM WITH Really Amazing! So we have many here new ideas for your garden you’ve got a few old tires lying around, this is a great way to transform them into something that is not only beautiful, but also completely functional. 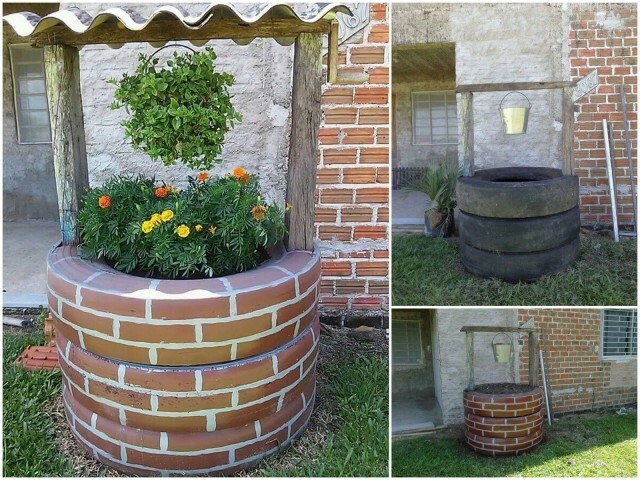 All you need is a tire or three and some PVA paint in the colors of your choice to make these stunning backyard garden tire planters. 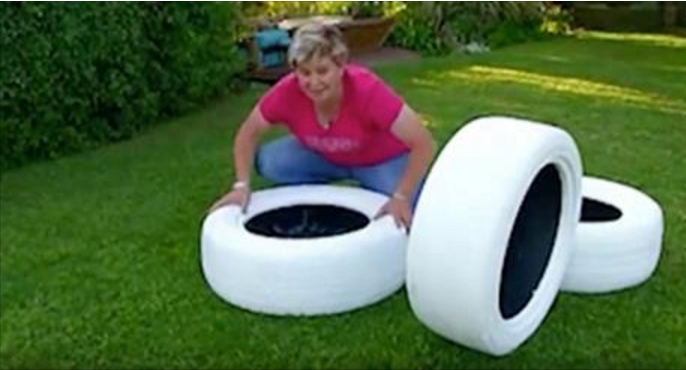 If you don’t have a garden, try this tutorial on how to turn an old tire into an ottoman for your living room! Bring your tires into your backyard. Paint each tire a base color with PVA paint, this tutorial uses white, but you can pick any color you want. After the tires have dried, lay the first tire flat, and use a black trash bag to line the bottom of it. Poke a few holes into the trash bag to allow for drainage. Next, stack the tires on top of the base tire. Remember you can use as many as you want and lay them out however you choose. This project is truly customizable. When you get tired of the color, just paint over the tires again. I like to change them with the seasons — orange, yellow, and red for fall, then pink, blue, and green for spring! 20 Fantastic 3D Wallpaper For TV Wall Units That Will Amaze You !! !